Professional, Committed, Accessible. Since 1984, the lawyers of Birdsell Grant LLP have provided legal advice and service to the people and businesses of Stony Plain, Spruce Grove, Parkland County, Edmonton and surrounding communities. 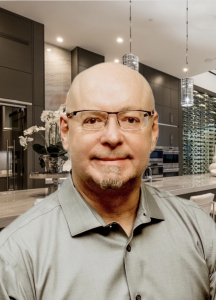 With close to 30 years’ experience, Glenn G. McAllister is a skilled and knowledgeable lawyer who provides a variety of legal services, such as estate planning, to individuals, families and businesses in and around Stony Plain, Alberta. Address: 215 McLeod Avenue, Spruce Grove, AB. Welcome to Main Street Law Offices. Our head office is located in the thriving community of Spruce Grove, Alberta, 15 minutes west of Edmonton. Our lawyers are pleased to provide legal services for Spruce Grove, Stony Plain and surrounding areas. Our experienced personal injury, fatality law, real estate, business law, estate planning, estate administration and litigation lawyers offer prompt, professional, cost-effective legal services. Address: 115 Main Street, Spruce Grove, AB. Randall C. Heil Professional Corp.
Robinson & Company has the most experienced and competent support staff of any law firm. Our goal has always been to provide excellent legal service in a professional and personable fashion to the citizens of Spruce Grove and the surrounding area that is second-to-none.